Collision Coverage: Pays for damage to your vehicle no matter who was at fault for a crash, as well as hit-and-runs to your vehicle. Comprehensive Coverage: Pays for damage or loss of your vehicle from many different perils, such as fire, theft, vandalism or hail. Collision and theft by family members are typically excluded perils under most comprehensive policies. 1. What is your vehicle worth? If you drive an older beater that you purchased five years ago for $1000, chances are you’re not going to worry about too much besides basic liability coverage. Likewise, if you own a brand new luxury sedan that you just paid year’s salary for, you probably wouldn’t dare touch the steering wheel without full coverage on. But what if you’re in the middle area, with a car that’s maybe 5 to 10 years old? The first thing you should do is try to figure out what your vehicle is worth. Are repairs typically expensive for it? What could you reasonably expect to purchase your car for, based on current market value? Take a look online and compare your car with listings of similar year, make, model, kms and general condition, and you should be able to get a rough idea for what your vehicle is worth. 2. How much money would you save by removing the collision or comprehensive coverage? Check your insurance policy or call your insurance agent to find out exactly how much money the collision and comprehensive coverage is costing you annually. For drivers with lots of discounts, the cost of the extra coverage may be so minuscule that there’s no point removing it even for older vehicles. For younger drivers or drivers with less than stellar records, collision coverage may be so expensive that the savings may be worth it even on a newer vehicle. 3. What is your financial situation at this time? Simply put: even if you don’t feel that it’s worth it to keep on collision or comprehensive coverage, do you have enough money set aside that you’d be okay should something occur? In the worst case scenario – if you had an accident and the vehicle was seriously damaged, would the potential cost of repairs or replacement of your vehicle be more than you can handle? Would you be able to easily arrange alternate transportation to work? Also, is your vehicle financed or leased? If so, you may be required to keep full coverage (liability, collision and comprehensive) on your car. 4. What other benefits would you be losing by removing coverage? Your insurance company may provide additional benefits when you have comprehensive and collision coverage, such as loss of use to cover rental vehicle fees, or insurance on the rental auto itself. 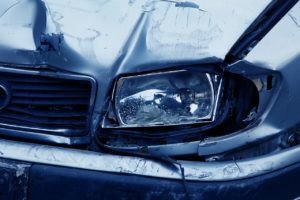 Also, if you don’t have collision coverage, you lose the benefit of your insurance company’s representation in cases where your car has been damaged by a third party. Check your insurance policy or ask your insurance broker to see if you could be losing any other key benefits before committing to an insurance downgrade.